A dip for all occasions. 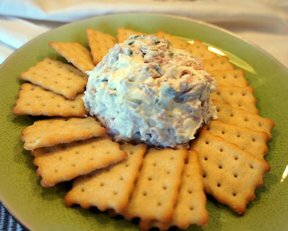 The tangy dill pickle with the tasty dried beef mixed into cream cheese. 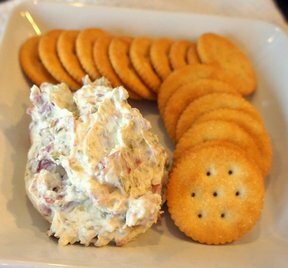 Perfect on crunchy crackers. Cream together cream cheese and sour cream until creamy. 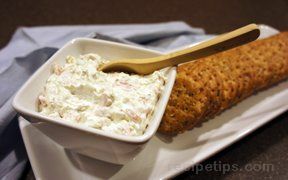 "One of my favorite dips. 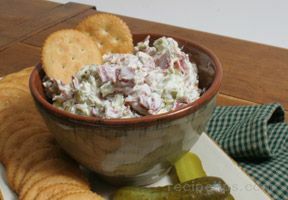 I have tried it both ways, with ham and dried beef, and surprisingly, I like it best with dried beef."